Happy Day After U.N. Day! "Season's greetings" from Unforeseen Contingencies! October 24 is U.N. Day, but here at Unforeseen Contingencies we celebrate Day After U.N. Day! anticipating the happy moment when we enter the post-U.N. world. 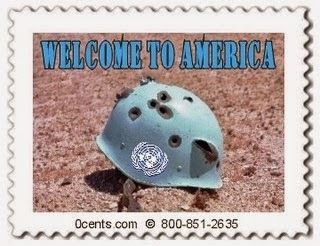 Any usefulness of the United Nations as a deliberative body has long since passed; it now largely is an international bureaucracy bent on promoting worldwide central planning and political correctness, and a forum for government thugs from failed states around the world to condemn the civilized parts of the world. Case in point: the U.N. bureaucracy has embarked on a jihad against The Second Amendment to the U.S. Constitution and state "castle doctrine" and "stand your ground" laws. Read the U.N. link to see how utterly crackpot the U.N. is -- they are taking their lead from the Malcolm X Grassroots Movement, an obscure collectivist black separatist organization that trains young black people as "Afrikan Scouts," learning combat and survival skills. I hasten to add I am all for teaching all young people such skills, along with pride and appreciation for one's heritage -- it's the racist and collectivist "one people one destiny" message I oppose. The MXGM message is one the U.N. "experts" would be joining me in vehemently denouncing if Camp Pumziko were "whites only." It only gets crazier. Another U.N. "expert" was outraged that his investigation into "stand your ground" laws was delayed by Obama's shutdown, and denounced the Republican Party and endorsed Obamacare. One would suppose that domestic political matters might be seen as outside the scope of a U.N. investigation on "human rights," or that the design of health insurance markets and governmental budget issues would be seen as outside the expertise of "human rights" lawyer -- but no, there's apparently infinite hubris on the part of these self-appointed "experts." Here's an excellent analysis of the U.N. bureaucracratic meddling that goes far deeper than I do here, and it's worth reading. (Thanks to Alex Newman and The New American.) Meanwhile, the clueless dunce U.N. General Secretary Ban Ki-moon has announced that the United States have committed themselves to the U.N. Small Arms Treaty. Well, no. The U.S. Senate has not ratified the treaty and unless this happens the U.S. is no more "committed" to it than it is to the League of Nations. Furthermore, the Second Amendment of the Constitution precludes substantial portions of the treaty -- the Senate has no authority to amend the Constitution. And furthermore, the American people have final say in this, since we, not the Congress, nor the President, nor the Supreme Court, are the ultimate source of political authority. Any "authority" the U.N. has is derived from member states, and hence the U.N. is so far down the chain of authority as to make its claims of authority absurd and laughable. But by all means, if the U.N. wishes to try to enforce gun control or any other of its crackpot schemes in the United States, it should go right ahead. That would be one way to ensure its rapid demise. On 12 October I participated in the 32nd running of the Le Grizz 50 Mile Ultramarathon in the Flathead region of Montana. As regular readers know (recently several people have actually claimed to be regular readers! ), Barack Obama's spiteful shutdown included canceling the permit from the USFS to run the traditional course along Hungry Horse Reservoir. RD Pat Caffrey worked like crazy to establish a new, non-federally-shutdownable course on Montana Secondary 486, and in the process established a new Le Grizz aphorism..."The federal government has shut down. Le Grizz does not shut down." Readers already know that Caffrey was successful, and I completed my 13th Le Grizz. Here's the rest of the story. I arrived in the Flathead a few days early to check out the course and relax; Montana's Flathead Valley and the surrounding mountains are particularly lovely in early October. It tends to be cool, and the tamaracks and quaking aspens are changing color. There might be a skiff of snow down low, and certainly more on the mountaintops. And the summer tourists are are long gone and the skiers haven't yet arrived. I took advantage of the early start. Despite my somewhat improved running, I figured I needed all the help I could get. I know pretty much all of the early starters anyway, and it is fun to meet with them and to run in the lead for a bit. The race began at the Polebridge Mercantile, which kindly opened its doors very early for us. We started out in the dark, ran out maybe 1/4 mile to Montana 486 and headed south. I felt great for a change -- I think that's the effect of the speedwork -- I seem to warm up more quickly. We ran 3 or 4 miles south and turned around. As we headed north, it started to get light, and soon I was tied for the "lead" (but in fact, already an hour behind most people, running with Adriana M. of Missoula. I've run with her before in races, most notably at Elkhorn 2012, where I caught up with her about 60 seconds after she had a little meeting with a bear that ran past her. As we ran together talking, some race support in a truck point out to us a couple of very healthy looking foxes (man, were they furry) watching us. One ran off and I called to the other one to come run with us. It looked like it actually might -- it took a step toward us, but then hesitated, turned and vanished... kind of the way Adrian did a few miles later. We ran together until maybe mile 10, and then, good bye. She had told me she had to finish, drive back to Missoula, and start working by 8:00PM... an emergency guardian ad litem case had just come up, which is why she did the early start. Awesome running performance and even more awesome dedication. The rest of the day consisted mostly of running with Jeff and Marc accompanying me on bikes, and regular rendezvous with the rest of my crew every 4 or 5 miles. I cannot say enough to do justice to all my crew members. They were upbeat and encouraging, they took care of my every need and then some. Marc and Jeff got me a huckleberry bear claw baked that morning at Polebridge Merc, Marc handed me astounding ginger cookies just baked by his wife, Jeff stuffed me full of cashews when I needed protein and fat, and Mom, John, and Renette kept me hydrated and passed me chunks of elk summer sausage. Mostly it was just fun to talk with them all. (Funny thing... talking with Marc felt like we'd last seen each other only a couple of days ago, not 37 years.) I also talked with numerous runners, fast and slow, and their crews. Great time. It was pretty cool and overcast. We had a a little graupel, but no rain. I felt very strong, and I think I ran relatively fast for the first 20 or so miles. I slowed down for various reasons, but felt pretty good throughout. Towards the end I was unsure how much farther we had and did not push when I might have. The course was, I think, harder than earlier courses. This s almost certainly true, since it is an out-and-back while the others involve net altitude loss. But also the hills were deceptive -- driving them a few days before wasn't bad, but they were frickin' loooooooong! I finished faster than last year. If readers care about the time, they'll have to consult the Le Grizz Gazette, it was still so slow I won't report it myself. At the finish Pat told me to hang around for a special award. I did, and in a few minutes was summoned before the wildly cheering crowd to receive the "Government Shutdown Award," for most volatile commentary on Le Grizz and the government shutdown. Unforeseen Contingencies, now an award winning blog (see last page of the 2013 Le Grizz Gazette for more details). I have to say, the Obama strategy of inflicting pain on the American people simply in order to try to preserve the badly designed and horribly executed Obamacare is one of the most vindictive, vicious, and alarming acts I have seen for an American official in my lifetime. I suspect we are in for worse before this is over. But the post cited in the Gazette illustrates clearly how we can get through any difficulties. Afterwards my crew and I headed for the firepit and the traditional fried chicken, beer and potatoes. I cannot say how wonderful this combination is after a 50 mile run. I simply urge all readers to try the entire experience themselves. Sated, we started heading back for our vehicles, when suddenly in the not-so-far-distance a wolf pack began howling. It's only the second time I have heard wolves in the wild, and if you've not heard this... well, one more good reason to run 50 miles in the Montana wilderness. The evening I bumped into a crew member for Jim Ballard (who finished his 20th Le Grizz, just a little ways behind me). She told me how she had gotten out of their rig to go back to bring Jim some stuff, and suddenly out of the dark a large wolf ran right in front of her. She jumped back into the car. Several runners also saw grizzlies during the race, and Jeff and Marc noticed a live trap the MT Fish & Game had set for a problem grizzly that has been up to some sort of mischief. You know, it's really quite a different feeling to spend most of the day running slowly, realizing you are only midrange in the food chain, and everyone above you is considerably faster. The next day we had a big breakfast at the always excellent buffalo cafe in Whitefish MT. Later John, Mom, and I drove up along Hungry Horse Reservoir on the traditional course. There was no evidence at all of the shutdown. Nothing was closed -- not that "closing" really was in the realm of possibility -- what exactly would you close? Would you demand the bears hibernate early? Fence out the elk? Or just tell people they have to stay in town and pretend the rest of the world is closed? Plenty of people were out cutting firewood and the like. And USFS has no role at all in Le Grizz, other than requiring a fee for a permit. They don't attend the race, don't supervise it, don't do a damn thing other than take our fee...which I presume was refunded. Some "shutdown." But it was a great race, not to be forgotten. I hope there are many more. Obamacare and other things coming down the pike are going to do great damage to this country. I summarize what is wrong with ACA here, and in the future will talk about other problems. But despite the best efforts of various political visionaries and schemers, the good will conquer the bad. Le Grizz is about what is right with the world and with America. It's about individuals tackling difficult challenges, it's about enjoying life, it's about people supporting it other, it's about having fun together, it's about appreciating the beauty of the wild and of civilization. (Huckleberry bear claws combine the best of both.) That's what will prevail. So stay tuned for the Second Saturday in October 2014! Photo: Chief Blogger Steele accepts "Government Shutdown Award" on behalf of Unforeseen Contingencies from Race Director Pat Caffrey. Unforeseen Contingencies makes Le Grizz Gazette! Our award-winning blog was prominently featured in the latest edition of the Le Grizz Gazette! Scroll down to page 8. What's wrong with Obamacare, anyway? Since the ACA (Affordable Care Act, a.k.a. Obamacare) is the primary battleground for the current budget debacles, it's probably not a bad time to revisit why one might reasonably think there's something sufficiently wrong with it that this fight is worth having. I'll do that here. Before beginning I should mention two things: First, I'll mostly focus on economic issues. But in addition there are important ethical, political, and Constitutional problems with ACA which I'll largely ignore. That's not to imply they are unimportant, for they are; but because the budget and debt ceiling are first of all economic issues, I'll stick to the economics. Second, any criticism of ACA should not be taken as a defense of the status quo. To the contrary, the pre-ACA status quo was unacceptable. The problem with our current "solution" is, in a nutshell, that it retains and reinforces many of the bad parts of the status quo while it jettisons many of the better parts. In fact, perhaps that's a good place to start. The basic problem with the American health care system was incoherent prices and overall costs that were spiraling upwards. But what would you expect when consumers (patients) not only didn't directly bear the costs of the health services they used, they couldn't even find out what prices were? The medical equivalent of the recent food stamp (EBT card) fiasco in Louisiana, that's what you'd expect. The way health insurance is structured, the cost of getting additional services is effectively zero for consumers. Why economize when goods are essentially free? Fill up those shopping baskets with everything your doctor happens to suggest. But of course health care services aren't free. The consumption of services as if they were free means a much higher quantity demanded. To the extent prices are free to fluctuate, this demand makes them rise, which in turn drives up the cost of insurance. And to the extent prices aren't free, other kinds of costs -- e.g. availability and waiting time for a doctor -- increase. Exacerbating this is that doctors themselves have incentive to recommend procedures of limited or doubtful usefulness without regard for cost. Since the patient doesn't bear the cost, the patient might possibly benefit, and the doctor certainly benefits -- what's not to like? Given all this, it's not surprising that health care spending has been high with a rapid rate of growth. To make matters worse, the increased expense forced upon existing health care plans (they too must meet guvamint standards) drives their prices up. Also, the ACA forces most firms to either provide this more expensive insurance for all their "full time" employees ("full time" is now 30 hours, according to the ACA) or pay fines. Since insurance is quite expensive relative to the fines, many firms are choosing to cancel their insurance programs and send their employees to those wonderful Obamacare exchanges. And because ACA raises the price of insurance, firms are also cutting back on full time employees and increasing the use of part time workers. This helps lock-in underemployment and at the same time imposes higher premiums with higher deductibles on the underemployed. ACA imposes two basic solutions to these problems. The first is IPAB, the Independent Payment Advisory Board, a commission that gets to decide what procedures will be covered by Obamacare, and what they will cost. Think Gosplan and you'll have the idea. IPAB also has what is effectively control over federal spending on health care -- it requires a 3/5 vote in Congress to override IPAB's diktats on spending. Hence it is unConstitutional and will likely face a challenge before SCOTUS at some point. Regardless, the Gosplan method of blocking innovation, cutting services, and imposing price ceilings is one way to cut costs... but it's a highly destructive one. The other "solution" ACA provides is to subsidize poorer people when they buy insurance. This certainly doesn't reduce costs, it simply makes someone else pay them. But that's the problem in the first place -- when people suppose someone else is paying, they don't weigh costs and benefits. These recipients will become one of the vested interests who will fight for ACA if it is fully imposed. They will also fight for expansion of subsidies and benefits. And if the "opponents" are the likes of Mitch McConnell, John Boehner, and the rest of the "reasonable" Republicans, they'll win. That's why, from the start, I suggested that ACA would eventually lead to an American national bankruptcy. These are just a few broad economic criticisms and hardly a complete critique. But they are fundamental problems with Obamacare, not issues that can be fixed with a few tweaks. The entire program is badly conceptually flawed, if your goal is to fix what was wrong with the American health care system. On the other hand, if the goal is to eliminate most private insurance, make citizens increasingly dependent on the government, augment the power of the state over the people, and perhaps wreck the United States in the process, Obamacare is just the ticket. I think many citizen supporters of the ACA are well-intentioned -- they believe that this program will increase insurance coverage, reduce prices, and make Americans better off. After all, that's what they've been repeatedly told by their leaders. I don't believe that advocates of ACA among the political class are well-intentioned at all, nor do they believe what they've said about it. That's why Congress specifically insisted on exemptions for themselves and their staffs. That's why union leaders and some big businesses have been crying for exemptions. That's why Obama himself is exempt. They know it is a bad plan and also know the implementation is being bungled badly. But their goals never were to fix problems in health care and to make Americans better off. Their goals have always been power and wealth, to be had at the expense of the America people. And that's what's wrong with Obamacare. Breaking News! Steele finishes 13th Le Grizz and receives...blogging award??? Just finished the 32nd running of the Le Grizz 50 mile ultramarathon, my 13th. In addition to the usual finishers' trophy I was also called forward the receive the "Government Shutdown Award," in recognition for what Race Director Pat Caffrey described as "the most volatile commentary on the government shutdown and how it affected Le Grizz." The trophy (the one in my right hand in the photo) features a horse's patoot, as my father was wont to call it, plus the inscription "Government Shut Down Award. If a tree falls in the forest and a politician hears it, he will blame someone. Le Grizz XXXII." Unforeseen Contingencies -- now an award-winning blog! Unforeseen Contingencies Storms the Barrycades!!! We won't let Obama stop us! Here's a photo of Unforeseen Contingencies' Director and Chief Blogger Charles N. Steele defying Barack Obama's executive order closing the Lion's Lake Picnic Ground in the Flathead National Forest! Well, actually, no... it wasn't closed. In fact, there was no visible evidence of the "shutdown" that I could see anywhere. Not that it would be possible to physically block all the roads, paths, trails, turnoffs, campgrounds etc. here -- there's probably not that much chain in the United States -- but I didn't even see a sign posted anywhere. And I did see both USFS and Bureau of Reclamation personnel working. Well, so much for my protest. I did, however, reconnoitre the 2013 Le Grizz 50 Mile Ultramarathon "Government Shutdown" course, which runs on Montana State Highway 486 from Polebridge, MT to the Canadian border and back. We race Saturday, and I will have a race report up at some point thereafter. Meanwhile, here are a few photos of the course. Click any photo for expanded version. Start and finish line, Polebridge Mercantile. Locals show little interest in running the race. Hazardous section of the highway, but well marked. 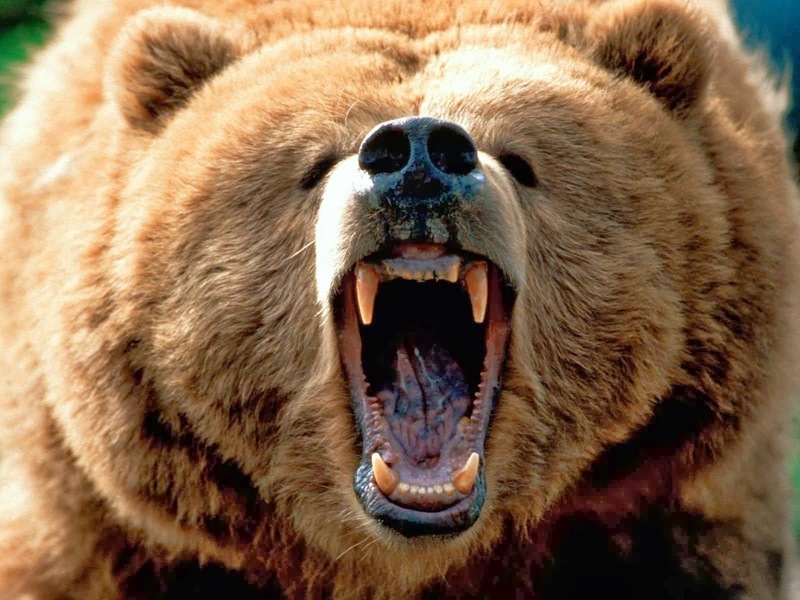 Le Grizz -- it's on! R.D. Pat Caffrey went above and beyond to get the new course set out, running along the west side of Glacier on Highway 486, from Polebridge up to Canada and back! So it's off to Hungry Horse with me! This area is big time grizzly country. I'm running fast for a change. 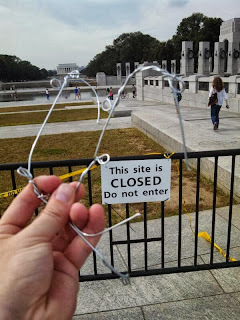 Someone took wire cutters to the barriers to the W.W. II Monument. Apparently there's an ongoing battle now with the Administration and its thugs in the Park Service, versus the America people, with Obama and Co. repeatedly re-installing the barriers. Keep those wire cutters going! Occupy the monuments! Apparently now they are letting in some of the Honor Flight visitors, but no one else... i.e. expending effort to punish Americans. This has nothing at all to do with government being shut down, of course. What strikes me as particularly interesting is that when the young comrades of the "Occupy" movement were out doing real harm by occupying public and private spaces, Barack Obama expressed sympathy for them. But World War II vets -- well, obviously they have no place in Barack Obama's vision for America. Quick note on other matters... Le Grizz... CANCELLED? 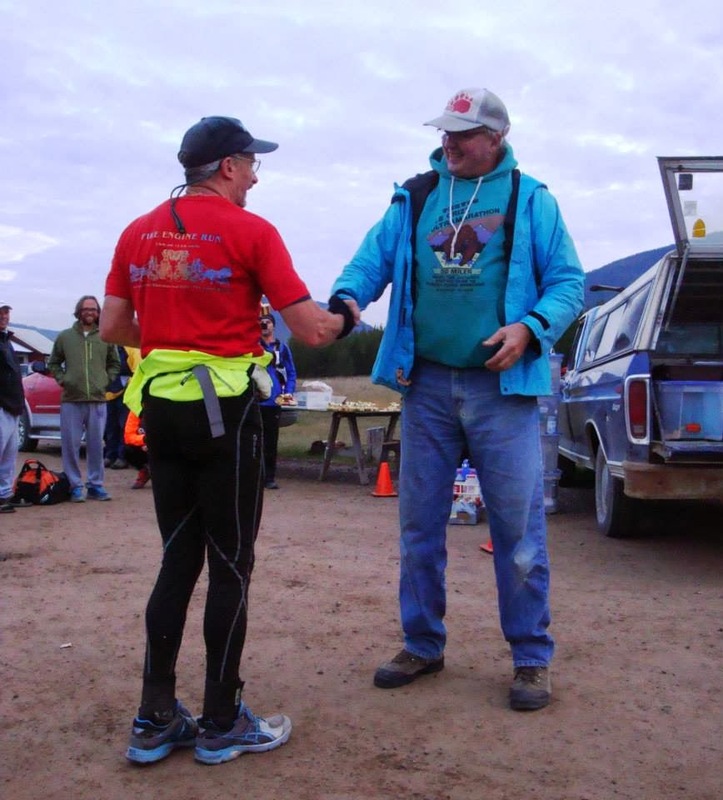 The 32nd running of the Le Grizz 50 Mile Ultramarathon is upcoming, Saturday 12 October. I'll be running it, for the 13th time. It's interesting to note that the tyrant in the Whitehouse has ordered USFS to close everything to citizens, in order to maximize the pain he can inflict. Hence the Le Grizz race permit has been cancelled. R.D. Pat Caffrey is working overtime to develop a new course that avoids USFS. Caffrey has been one of my heroes for a very long time, and this reaffirms my admiration for him. Failing development of a new course, I will go ahead and run my own race on the traditional course. Barack Obama and the feds can go to hell; they're my servants, not my masters. It's my country, not theirs. P.S. I've registered a complaint with Congressman Steve Daines, (R, MT) requesting his office look into USFS' misbehavior and Barack's use of the federal bureaucracy as a political tool. 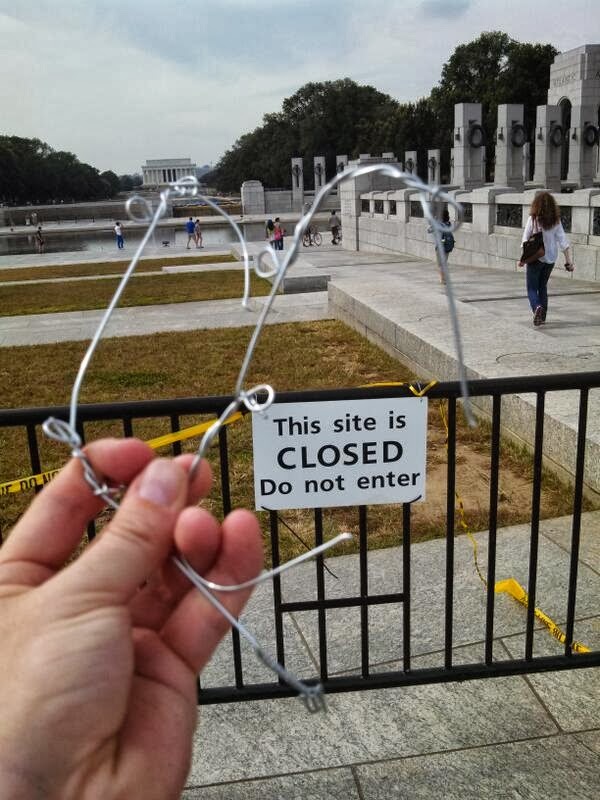 Update on previous post: now the president has ordered the barricades wired shut on the W.W. II Memorial. Hmm. From the photo it looks like an ax would easily take care of that little problem. I suppose the trigger-happy capital cops would kill someone over this, but the damned barricades need to be ripped down again. "Shutdown"... Farce? Political Theater? War? The previous post shows what USDA is currently displaying on their websites. An ignorant person might suppose that because of the "shutdown," the government had no funds to keep its websites up and had to close them down. But to the contrary, they are up and running. What has happened is that Obama has ordered federal agencies to block access to their sites in order to inflict maximum inconvenience on the public. The servers are still running, the software that constitutes the pages still exists... the difficulty is that Obama has intentionally turned off your access to them, at additional cost paid by you. So yes, it's farce. The crybaby-in-chief is again throwing a tantrum because he's not getting his way. And yes, it's political theater, a staged "event" designed to sway observers for some end. But most of all, it's war -- the end is to destroy any opposition to the progressive drive to remake America. They need to eliminate, once and for all, America's commitment to individual liberty, because individuals who are free to make their own decisions won't fit very well into the plan for a utopia this political class envisions. And that means first demonizing, and then destroying, libertarians and Tea Party types is a necessity. Not a penny was saved by putting up these access barriers. To the contrary, putting these up required additional spending. Much more dangerously, today Obama and Treasury Secretary have threatened a sovereign default. Rather than try to calm the situation, they are trying to whip up fears on as a means of increasing pressure on their opponents. This is an extremely dangerous tactic, and makes "us" at UC wonder if they are willing to follow through and intentionally default on interest payments as a political tool. A default would likely have catastrophic effects for Americans and for the rest of the world -- after all, one of the main assets around the world is American debt. My suspicion is that Obama, his "handlers" (George, are you there? George...?) , and many of his supporters are indeed willing to see a default, if that's what it takes for them to discredit and destroy their opposition. It's extremely dangerous and utterly criminal. This is indeed war. Like the WW II veterans, we should tell Obama to go to hell, knock down his barricades (e.g. Obamacare), and start working to dismantle the nascent federal dictatorship. 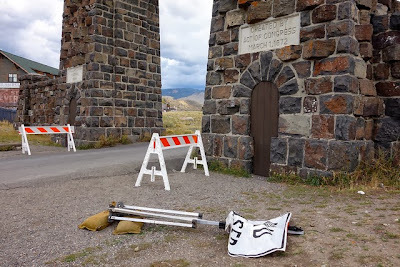 Photo: Citizens also tore down barriers blocking entry into Yellowstone National Park. Well, it's not really a shut down, but let that pass for a moment. "We" at Unforeseen Contingencies are not bothered in the least by the alleged shutdown. 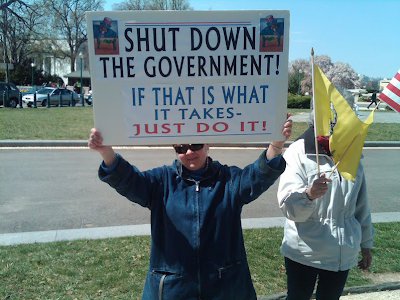 Back in 2011 "we" opposed the battle over the debt limit that threatened to "shut down" the government. So far as our chief analyst (me) could see, in that case there was not much to be gained yet a great deal at risk since conceivably a sovereign debt crisis might have been triggered -- in other words, the U.S. might have failed to fully pay interest on its massive and growing debt. The threatened shutdown did not seem to be tied to any serious proposal to end deficit spending, so there were no benefits to balance the threat. This time is different. Republicans in the House, along with a few in the Senate, tried omitting funding for PPACA/Obamacare from any continuing resolution (you know, "continuing resolution," to fund the federal government in lieu of an actual budget). When that failed in the Senate, House Republicans responded with a funding bill that exempts everyone from Obamacare for one year... fair enough, especially since Obama has illegally legislated by handing out over 1200 exemptions to the law. Note that currently the Republicans aren't even proposing to end Obamacare! Unforeseen Contingencies has no hesitation supporting a shutdown over this issue. This "shutdown," and possible sovereign default, is tied to a real issue. Obamacare is, effectively, a death sentence against the American economy -- if fully implemented, it will do great harm. It places enormous costs on businesses and will depress entrepreneurship and economic growth. It will also lead to spiraling increases in government expenditures. If left in place, it guarantees a sovereign default. So go ahead, shut down the government if that's what it takes to stop the damned thing -- there's nothing to lose. The arguments leveled against Republicans range from bizarre to deeply dishonest. For example, there's the argument that PPACA is "the law" and that SCOTUS 2012 decision plus the re-election of Barack Obama settled the matter. That's bizarre for at least two reason. First, Congress has full authority to refuse to fund something. The Constitution grants this power to Congress and to no one else. Congress has the legal authority to fund or not fund -- it is cloud cuckoo stuff to argue that Congress can't refuse to fund Obamacare. Even more bizarre, the PPACA as it exists today is not the law Congress passed. Never mind Justice Roberts' rewrite of PPACA to claim it involves a tax (which Congress explicitly denied at time of passing the bill)... Barack Obama has issued over 1,200 exemptions to the bill, effectively rewriting it. So too has Kathleen Sibelius, who has failed on multiple occasions to follow the law, with no consequences at all. In both cases, illegal executive branch fiat has replaced the PPACA. Whatever the thing is that Obama et al. want funded, it is certainly not the law Congress passed. There's nothing legal or Constitutional about what Obama has done, and the House ought to be passing articles of impeachment against the dictator-wannabe in the Whitehouse. Regardless, I can see no argument at all against the shutdown, nor for why Republicans should offer the unconditional surrender Obama and Reid demand. I'm surprised that the Republicans have put up even this much fight. But any fight is good, anything to derail Obamacare is good. Most of what the government does now is unnecessary or a waste, or positively destructive, so by all means shut the damned thing down!